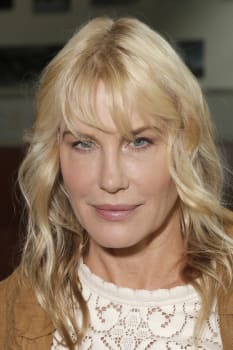 Courtesy of The Agency via ZillowDaryl Hannah's Malibu compound has a standalone master suite with a Japanese-style soaking tub and a fireplace. 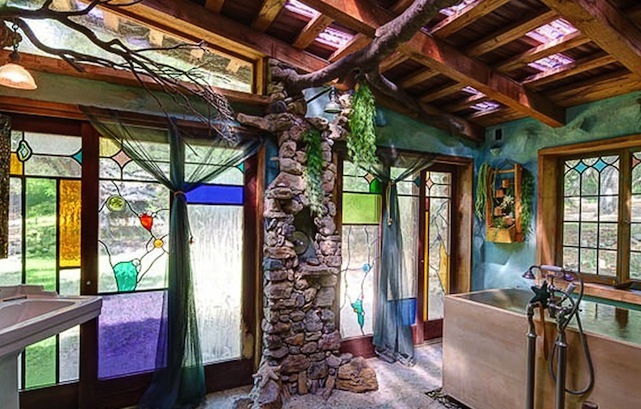 Environmentalist-actress Daryl Hannah is selling her sustainable Malibu compound, a hippie hideaway suited for relaxation after an anti-fracking rally. The "Splash" and "Steel Magnolias" star has been in the news recently because of a reported romance with Neil Young. But that life change isn't likely the reason she's selling her Malibu, California, property. She listed it in 2012 for $4.995 million. Now The Agency holds the $4.25 million pocket listing for the gated 17-acre organic oasis. The property has three buildings: a house with an art studio; a standalone master suite with a Japanese-style soaking tub and a fireplace; and a guesthouse with a loft and views of the ocean. It's not your typical sleek oceanside celebrity retreat, but the home has its own brand of luxury charm, with a historic stone cottage, several gardens and beautiful stained glass. Photos courtesy of The Agency.